Is the Walking Dead past It's Best or in It's Prime? 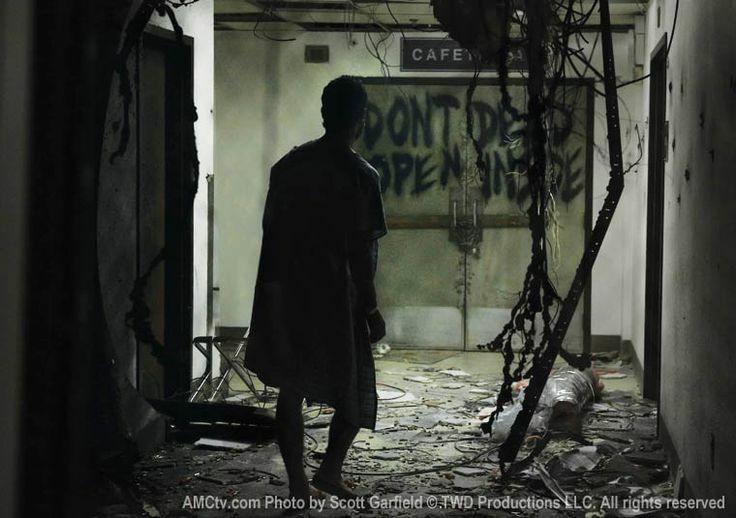 When The Walking Dead premiered on Halloween 2010 the show was up against some stiff competition, Boardwalk Empire and Mad Men to name but two. In the years to come many more would follow and with them, they would bring established Hollywood actors seemingly taking a step down from the big screen. So it was imperative that The Walking Dead was unique, thoughtful, exciting and entertaining. 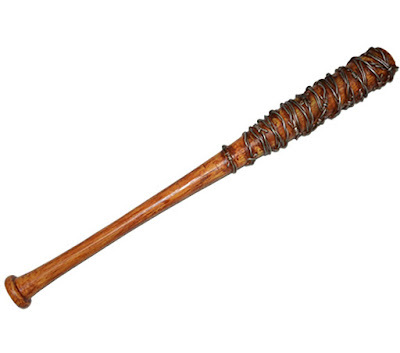 Where's the Walking Dead at Now? Now we are in season nine you would have thought that TWD was seen as a master of its craft to all its fans; the answer is, if you read the fan sites and social media pages, no. I'll hold my hand up here and admit freely that I have expressed disappointment in the series, but I will say before the die-hards attack me with verbal baseball bats wrapped in barbed wire, that there is a reason for it. But to answer for my betrayal I need to go back to season one, so bear with me. The two most iconic scenes in TWD are in fact in that first magnificent season. We the audience are thrust into this decaying new world without any knowledge of how or why everything has gone to hell. A lone police officer scavenges for fuel amongst the lines of abandoned cars, some that still contain the sad remains of their inhabitants. Then a pair of pink fluffy slippers shuffles along the road and we instantly know that this is a child, we hope that she is okay, that she is searching for her parents who we know without seeing them are dead. All hope is ripped away as the horror of her torn face is unveiled and in that horrific moment we know that whatever has brought civilisation to its knees does not discriminate, age, gender, colour, creed, nor it does not care. The scene comes after a brief glimpse of the world before the apocalypse; Rick and Shane, two colleagues but best friends also. Rick wakes after snippets of consciousness reveal the visits of his friend, the flowers beside his bed are no longer fresh, they are as dead as the world he is about to discover. The lack of medical staff alerted to his calls panics him and he quickly finds the strength to exit his room. 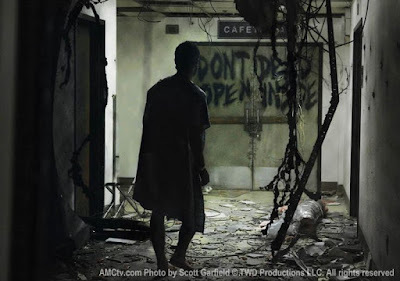 What he finds are corridors of dereliction and human remains, but nothing prepares him for what is undoubtedly THE most iconic scene in TWD history. What these two scenes offer is an unprepared drop into an apocalyptic world of walking corpses for both the viewer and Rick Grimes, that way we understand what 'Officer Friendly' is feeling and going through mentally. A masterpiece of sensory trickery. In addition to that, to show a dead child, shambling along the highway with half her face missing is a big gamble for television. The movies can easily get away with that kind of horror but for television, you have a more critical audience. However, if TWD began and ended with horror and survival then they would not be here today, the show had to have substance, the writers had to create characters that the viewers loved, rooted for, hated or just plain enjoyed for their comedic timing. TWD brought us sensitive stories of racism and domestic abuse, T-Dog suffering at the hands of Merle and Carol suffering the oafish husband, Ed. This was mesmerising television as there was now no outreach centres, no police and no one to help Carol. It seemed that she was doomed to her abusive husband until Shane stepped in. Speaking of which, the former officer had stepped into Rick's shoes. He was having an affair with Lori and become a step father of sorts to Carl, but with the arrival of Lori's husband that all changed. Shane was now out in the cold, second fiddle to Rick and nothing more than a cool Uncle to Carl creating a love triangle that would tear Shane apart and concluding in the season two shocker. However, in Season 2 is where some of the gripes begin, a heart-pounding hundred miles an hour first season slowed to what many believe to be a crawl. But for me season 2 was fantastic. The previous season had introduced us to the group, gave us the aforementioned emotions and now the show had to tell us the many stories over the course of 19 episodes. But to anyone who thinks that season two was of a lower quality to season one then I disagree, for a start, there's the Sophia storyline. This is a parent's worst nightmare, the disappearance of their child. For half a season we the audience pray for the safe return of Sophia, I mean surely they won't give us another zombie child. Would they? This one hurt more though, we had come to love her in season one, feel sorry for her as she watched Ed beat her mother. Then she shambles out of the barn at Hershel's farm and out hearts sink. That is magnificent writing. Add to that Maggie and Glenn's blossoming love, Shane's departure and then the season finale. What those early seasons did was offer up a horror story beyond wandering ghouls, real-life horrors such as abusive husbands, inner demons and missing children were what made TWD so watchable. Then The Governor turned up and we began to see a shift away from all that we were used to and loved, the comfy pair of slippers were well and truly removed. What The Governor did was slowly elbow the dead to one side and pave the way for the living to be feared. Cheesy names for cheesy comic book villains (yes I know TWD is a comic as well). Terminus looked to be a return to horror and in its fleeting appearance, it was. But that journey to Terminus was like sitting next to the teacher on a coach to a school trip. I could understand why they brought in The Governor and his story but that 'road trip'? Does anyone want to switch? And so it continued; the hospital with the hearse and the overbearing police woman, Merle and his new hand, Michonne and her gargling pals on chains, Sheba... TWD had truly gone all out comic book. At least with Negan, we were promised something different, Season 6 finale unveiling a guy who was great as The Comedian in The Watchmen. Season 7 opens with gory glory, TWD answering fans pleas to break the untouchables and kill off a big character. In true Game of Thrones style, we lost Glenn and Abe and the season looked set to be a rollercoaster. But the train barely left the station and I began to refer to TWD as The Walking Waltons such was the tepid nature of the season. And finally we are in Season 8 and the prayers for action have been answered. Why Have I Turned Away? But why have I turned away from TWD, I obviously love(d) the show? When I first saw the title I was excited by the prospect of a zombie television series with great actors and great writing. I wanted to be scared of the ghouls, to run away from them rather than fight, only retaliating if I had no other choice. That scene where Morgan and Rick are hiding in the house while the street is full of the dead, that's what I wanted. And then they took it away. the storylines became less about human survival in a world without supermarkets and electricity, less about the dead, less about real-world struggles in an apocalyptic world. Camping out and away from the comfortable surrounds of our homes. But does that mean it has lost its lustre? TWD has had to evolve, to keep moving. If it stayed where it was five, six years ago then without a doubt we would not be here in Season 9. I applaud the writers for changing direction, for taking risks and setting new boundaries. They may have their critics but TWD team are still here, still popular and still evolving. The world of the dead has changed, maybe we should too. Watch the opening 3 minutes of the season 8 premiere below and be sure to let us know what you think in the comments section. Here's the 1st sneak peek for Season 8 of The Walking Dead. Check it out below, especially if you missed it on the Talking Dead chat show. Man, I'm PUMPED for Season 8... bring on the war! Halloween is just around the corner, as is Season 8 of TWD, so I figured it would be a good idea to show you the best Walking Dead costumes for Halloween 2017! Can we expect a crossover in the Apocalypse? 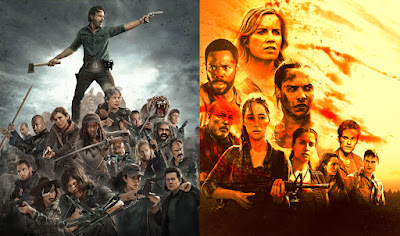 Whispers among some of the devoted fans of The Walking Dead; is it possible in our near future that we will see a crossover in the zombie apocalypse? Although the writers have stayed pretty on track with the original series and actually have had much more liberties with the spin-off series, one must wonder if there is going to be a crossover between the two successful series. Timeline and geographic positioning is important! Obviously we know that when patient zero was discovered in California, that was during the time of Rick being in his coma at the hospital. Since then, Madison's group had moved south of the boarder and majority had returned.. However, back over to the East coast, Rick 's group had moved North. I'm sure the writers would be able to be creative enough to make this work but from my perspective on this matter I cannot see how they would be able to successfully bring the two shows together for a crossover. Rick's group is already years into the apocalypse where Madison's group is still in the infancy and trying to figure out what exactly is going on. So, there would be several years gaps between the two and with the distance being practically across the country, I find it hard to figure out how they could possibly pull this off. Perhaps one or two that may have strayed from the groups during its time would make a way over to the East Coast? Then maybe- just maybe It would be a successful crossover.